Ashraf al-Kidra, a spokesman for the Health Ministry in Gaza, said the man was killed late Thursday after a number of Israeli tanks crossed the border fence into the coastal enclave. 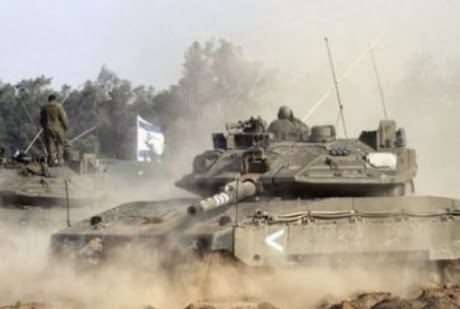 The Palestinian resistance movement Hamas said its fighters fired mortar shells at the tanks. It added that an Israeli helicopter had also fired a rocket in the area. The Israeli military frequently bombs the besieged Gaza Strip, claiming the attacks are being conducted for defensive purposes. However, disproportionate force is always used, in violation of international law, and civilians are often killed or injured. The 1.7 million Palestinians of the Gaza Strip are living in what is called the world's largest open-air prison as Israel retains full control of the airspace, territorial waters, and border crossings of the territory. Gaza has been blockaded by the Israeli regime since June 2007, a situation which has caused a decline in the standard of living, unprecedented levels of unemployment, and unrelenting poverty.